Do Women Now Hold All The Cards When It Comes To Dating? 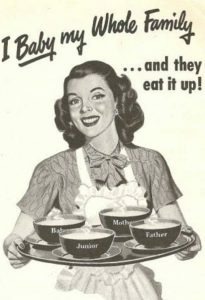 Cast your mind back, and allow your imagination to conjure up an image of the fifties housewife. That stereotypical doting Dame, dedicated to serving her husband, their children, and the family home. It seems such a distant concept, that’s it’s almost romanticized. Oh, how nice it would be to stay at home, bake all day, and have a tipple of gin shortly after the school run. Maybe before … Ahem. Since the 1960s, there has been a progressive change in social order. Once tied into their patched aprons, stuck over cookers, women are now free to make life choices that honor their happiness and individual ambitions. Alongside this long due development in women’s social standing, there is a correlating decline in their dependence on men. As women have access to academic pursuits and higher salaries, power roles within relationships have changed significantly. There is no longer a social pressure for women to settle down and start a family before the age of 30. Increased circles of acquaintances also present greater opportunity to meet different singles, rather than relying on connections through immediate friends and family. Women have been empowered to find someone suited to their lifestyle, finally placing their own happiness into the immediate equation before considering commitment. Sure, this does mean that today, more women than ever are dating multiple singles before settling down, if at all. This is why you will find a lot more women using naughty dating sites like thesexchatsite.com/dirty-chat. And while this does signify a remarkable power shift for men in heterosexual relationships, it can be considered a positive for both partners. The social impact of the 1960s equated to an increasing rise in divorce rates from the 1980s onwards. As couples, who had before been bound within unhappy marriages, came to realize that contentment could be found outside of the enforced institution. From then onwards, marriage rates declined, while divorce rates consistently soared. That is until recent technological advances gave birth to online dating platforms, which allow singles to find love with like-minded individuals from their local area. Outside of typical friendship groups and family circles, online dating provides men and women with the opportunity to connect with others who are looking for love. The chance of meeting that special someone just greatly increased. Now, when facing the prospect of a potential partnership, men and women who meet online have the opportunity to discuss their ways of life and their hopes for the future. If things don’t go quite right, all is not lost, dating platforms offer somewhere to start again. Couples that do venture into new relationships have a true understanding of where things will go. Ideal matches are made. The success of online dating and mobile apps is reflected in recent official stats. These show a rise in the number of couples choosing to tie the knot, in conjunction with declining divorce rates. Women may have more of a say, but relationships are now a joint venture. Things are looking good for love. War Machine Gets 36 Years to Life!!!!!!!!! Is Operation Choke Point Back On?